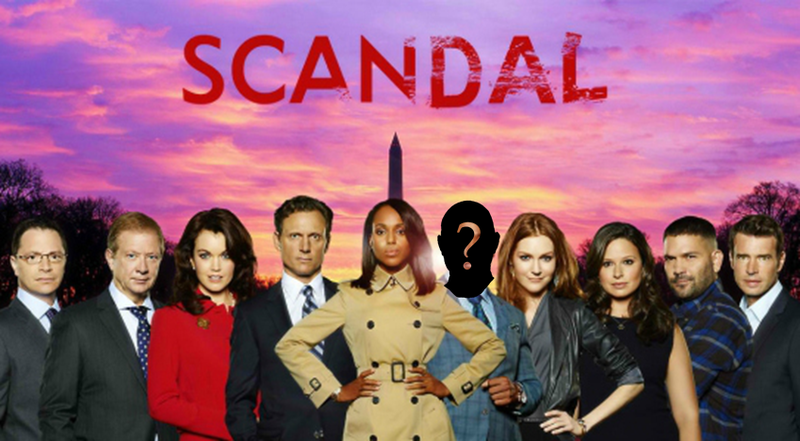 ‘Scandal’ Scoop: Is Olivia Pope & Associates Changing? Leave it to Shonda to kill a man and resurrect him within a week’s time. She never gives our emotions a break. And, it doesn’t look like she’ll be starting anytime soon. Scandal fans: avert your eyes if you don’t want any scoop on the changes coming to Olivia Pope & Associates. I usually don’t utilize this space to share TV spoilers. No one wants to ruin the fun of discovery. But this one is too good not to share. News broke late last week that Olivia is set to hire a new “gladiator” to join the team next season. Yes, that’s right. One of the chairs vacated by the departed Harrison and Press Secretary Abby will finally get an occupant. The person joining the team will be someone we’ve seen before as a guest star. So, who will it be? That part still remains a secret of course, but that doesn’t mean we can’t speculate. Judging by the strong performances from guests this season, I’ve come up with a short list of contenders. Charlie – As a B-613 agent (played by George Newbern), he’s been around in varying capacities since season one. His dynamic with Quinn and Huck could make things interesting, but I’m not sure Olivia is looking to form a strike force. Russell – Another B-613 agent (played by Brian White), Olivia just exposed his treachery at the end of the last episode. But, what is his redeeming quality? All gladiators have them, and so far, Russell has only proven himself to be a sub-par agent next to what others have accomplished. While he has provided major eye-candy for those into his type, he hasn’t given us much else to hold onto. The question is: does it matter? Marcus Walker – Olivia first met him as a community organizer in the Michael Brown inspired episode. Walker (played by Cornelius Smith, Jr.) re-emerged as a mayoral candidate caught in a murder mystery that went down in a blaze of truth-telling glory. We have had some insight into his “Cinderella Story” and troubled life which seems very similar to the types Pope likes to hire. But is he ready to enter the ring with the big dogs? Elizabeth North – Lizzie (Portia deRossi) has really been through the grinder. As RNC chairman, she was an accomplice to treason and paid the price with a visit from Huck. Her back (and her sanity) will never be the same. Still, she landed on her feet guiding Mellie’s Senate campaign. I’m not sure she could stomach working closely with Huck, but could her penchant for deceit find a home on the team? Leo Bergen – Another DC fixer and White House insider, Leo (Paul Adelstein) has been romantically tied to Abby. He’s slick, sharp, and shady when he needs to be. He knows DC and he knows how to get things done, but I’m not sure he’d be able to handle working under Olivia. If he can’t keep himself together with Abby, there’s no way he won’t be emotionally exhausted dealing with Olivia Pope in the flesh. I’m placing my bet on Marcus. He’s delivered strong performances and he meets all of the gladiator criteria: strong ethics, an investment in the greater good, and a troubled past. As a great challenger to Olivia, he is basically Harrison 2.0. Shonda could surprise us but I think he’s the most logical choice. Of course, this is Scandal, so you never know what Shonda and her crazy writers’ room will come up with, even for the rest of this season. But, this new hire could be epic. Who do you want to see? Let us know in the comments section below. Previous story Is It Time For A ‘Family Matters’ Revival? Janelle Monáe Proves That a Brown Girl Can Be a Q.U.E.E.N.